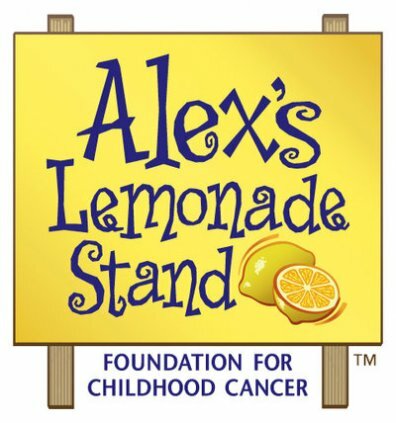 Monday Charity: Alex’s Lemonade Stand! Every Monday we’ll be taking a look at some of the charities we’ve featured in the past! This week we’re highlighting Alex’s Lemonade Stand, which was the inspiration for our Holiday Countdown t-shirt a few weeks ago. Alexandra Scott was diagnosed with a childhood cancer called neuroblastoma just after her first birthday; though the doctors said that she might never walk, she beat the odds and continued to fight for her life. After receiving a stem cell transplant at the age of 4, she told her parents that she wanted to open up a lemonade stand to raise money for cancer research, so that her doctors could “help other kids, like they helped me.” Her first stand raised over $2,000 in a single day, and grew into a worldwide phenomenon as other people inspired by her story set up their own lemonade stands. Alex passed away at the age of 8 in 2004, but by then she’d helped to raise $1 million around the world for cancer research. Her family decided to continue her legacy and set up “Alex’s Lemonade Stand” as an official 501(c)3 charity. To this day, they have funded over 200 research projects at more than 65 institutions across the country. In addition, they also fund nursing grants and help families with travel expenses to be nearer to their ailing children. If you’d like to support this cause, remember that when you buy our “Fighting Childhood Cancer”shirt part of the proceeds go directly to Alex’s Lemonade Stand! And you can also check out their website to see how else you can get involved! My name is Megan Walsh and I am currently a senior at NYU pursuing a degree in Individualized Study with a concentration in Music as a Transformational Object and a minor in Child and Adolescent Mental Health Studies. 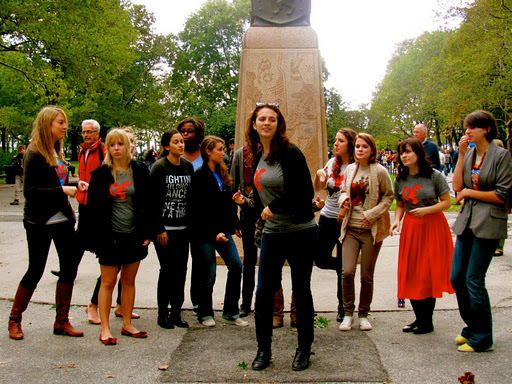 My true passion is music, and I am the musical director for NYU’s premiere all-female a cappella group, the Cleftomaniacs. 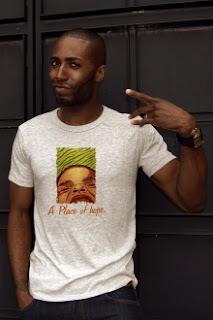 I began working with Love + Water designs this past summer facilitating Youth Outreach. I’ve made contact with youth organizations that are now scheduled as our featured charities for the upcoming months! Most recently I’ve been focused on organizing and working with our wonderful Youth Board! I am truly inspired by Love + Water and everything it stands for–supporting artists while giving SO much back to those who need it most. Wearable philanthropy is a truly remarkable concept that fosters beautiful and motivating awareness and change. I love working with such an amazing team at Love + Water, I am honored to be surrounded by such creative, generous, and amazing individuals! Thanks Megan! A reminder: don’t forget to check out our Holiday Countdown sale! This week’s shirt can be found here and was inspired by Kageno! Our HOLIDAY COUNTDOWN SALE is here, and I can say with confidence that it’s one worth investing in. We have a different shirt each week on sale for $15. Go to our site and find it on the homepage! SO, when buying a gift for a loved one this holiday that is affordable, cause-related and meaningful, look no further. As promised, here is a short video that shows you the members of our Youth Board! Go to our website to check out more about them and about us! Greetings from a Love + Water Intern! Today I thought I would break the fourth wall a bit and let you see who’s been making all these blog updates! My name is Victoria and I’m a senior at NYU majoring in English. I first found Love + Water through my friend Megan, who’s been interning here since the beginning of the summer. She helps out with the Youth Board (who’ll I’ll write a little more about on Friday, so look out for that!) and told me that Love + Water was looking for a new social media intern, so I applied and here I am! We’re also both members of the Cleftomaniacs, an a cappella group on campus, and we’re working on a lot of great projects to connect our group members to Love + Water in the coming months! The thing I love most about working with Love + Water is getting to witness the behind-the-scenes of what goes on at a business that believes in its cause. Alexis is a really spirited, inspiring woman, and it’s clear just from watching her talk about Love + Water that she’s really excited about what she’s doing. It’s rare to see that kind of passion in someone and I hope that when I graduate I’ll be someday able to get as much joy out of my job as she does! This Friday we’ll be launching our first video on our Youtube channel to introduce the members of the Youth Board to you, so stay tuned! And don’t forget, we are now accepting design submissions for SoBro, so submit your own or vote, rate, and comment on the designs we now have!